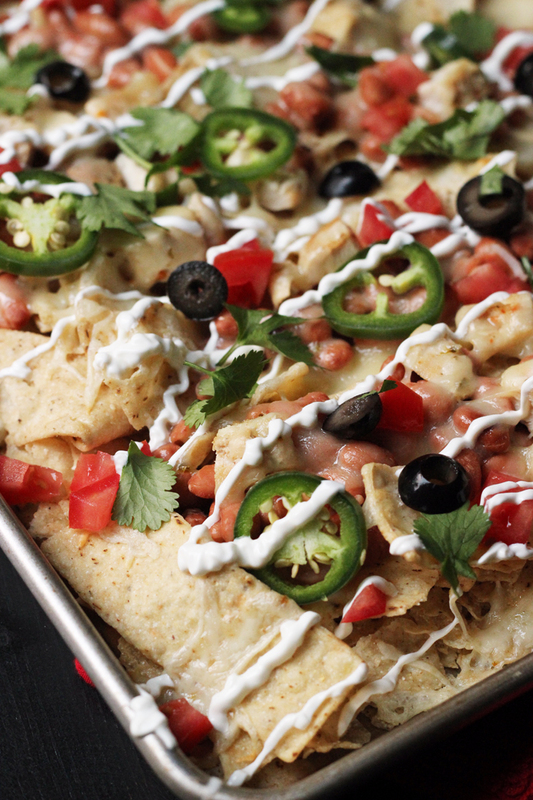 Feed a crowd and your hunger for loaded nachos all in one fell swoop. 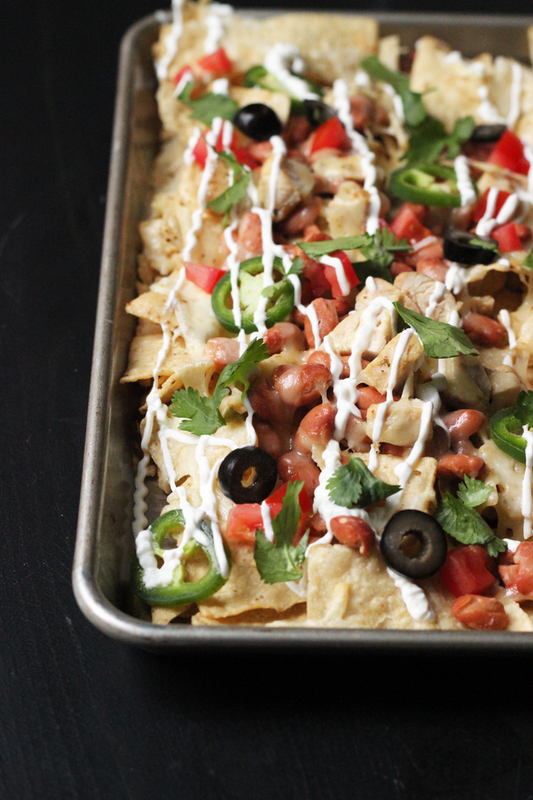 This One-Pan Chicken Nachos recipe will have you set for success. Nachos have been a favorite dinner or snack of mine since high school. Trust me, that’s a long time. Back in the day, my best friend Stephanie and I would make a goopy cheese sauce from a dry packet mix. We loaded on the toppings and had a feast. Since then I’ve simplified my nacho making process to include real shredded cheese and to make it in a big pan. I’ve shared my DIY Nacho Bar before. Nachos make a quick and easy dinner or appetizer with very little work. 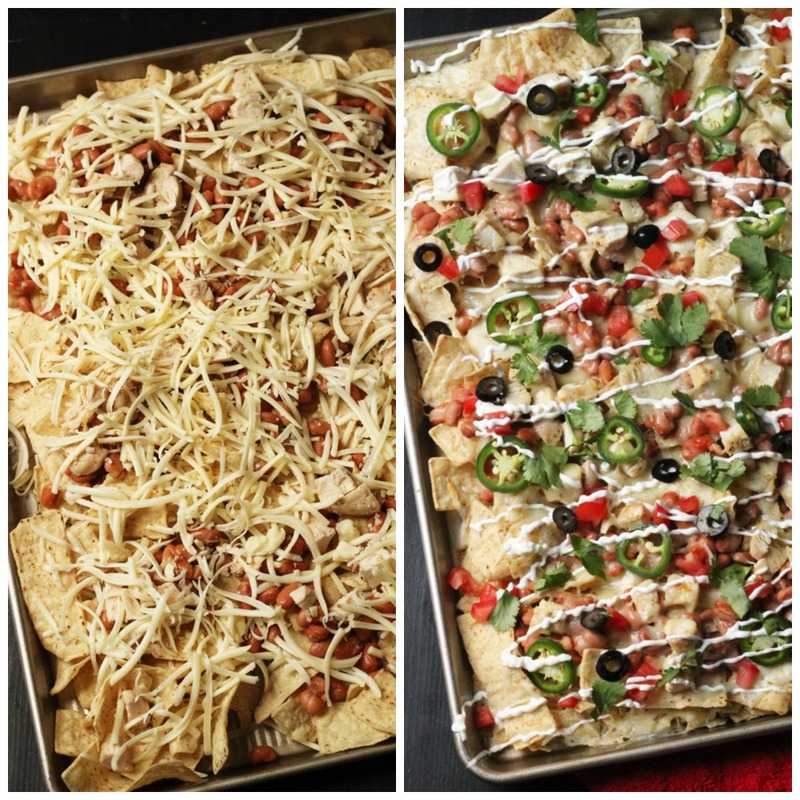 But, if you really want to wow your guests, bring out this One-Pan Chicken Nachos dish all dolled up and ready to go. Granted, you may have some picky eaters who prefer not to have all the toppings, but I mean, seriously, which side would you choose? Stock up on ingredients when they are on sale. When I find regular kitchen staples on sale, I buy a lot. I’m currently using a price book to track prices and that’s saving me money. For this recipe, keeping an eye on the prices of chips, cheese, chicken, and beans can help keep the price down. Cooking beans from scratch. Cooking dry pinto beans can save you a significant amount of money in comparison to buying canned. Recently, I discovered that beans cook really quickly in a pressure cooker, making that a game changer for me since the soaking and slow cooking process have been deterrents for me in the past. This recipe really couldn’t be easier than it is, but having the right kitchen tools can really make your time in the kitchen more enjoyable. Over time, I’ve honed my collection so that they are perfect for my needs. plastic cutting boards – I have blue boards for veggies and white boards for meat. Ergo Chef chef’s knife – I’ve had my set for several years and they work well. sheet pans – I LOVE my set of steel sheet pans. They make such a difference in baking. Spread the chips on a large sheet pan. Layer on the beans, chicken, and cheese. Bake the nachos until the cheese is melted and the toppings are warm, about 15 minutes. Layer on the olives, chopped tomatoes, and cilantro. Place the sour cream in a small ziptop bag. 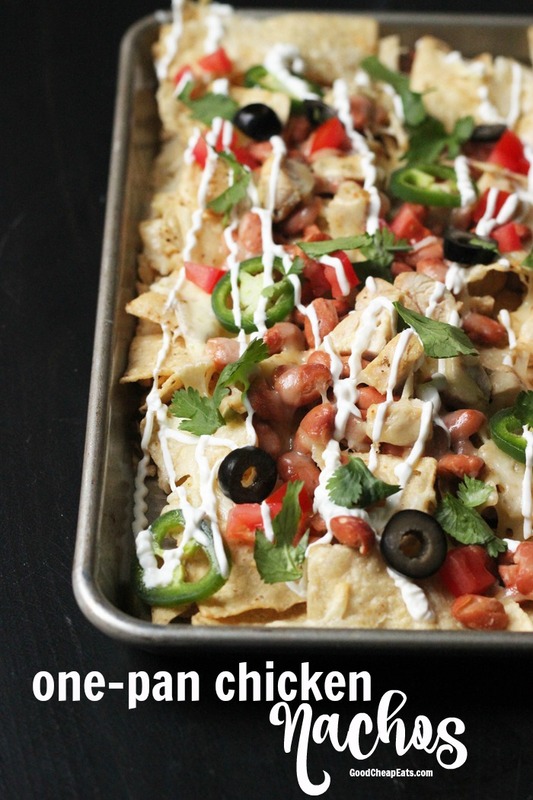 Trim off a corner and drizzle the sour cream over the nachos. Serve immediately. Are you looking for more good cheap eats?